The Sims 4 on Xbox One is a simulation game that puts you in charge of the daily lives of the titular sims. It's an offshoot of the massively popular Sim City series from Maxis, and it provides a similar type of sandbox gameplay. The game is different every time you play, and there are a ton of things to do and see, but Sims 4 cheats are the best way to get right into things. How Do Cheats Work in The Sims 4 on Xbox One? Cheats in The Sims 4 for Xbox One work by altering things about the game to make it easier, unlock items that are difficult or impossible to obtain, and generally make things more interesting and fun. When you enable cheats, you'll see a message indicating that all achievements will be turned off. That means you're free to use as many cheats as you want, and have your fun, but you have to earn achievements the old fashioned way. Achievements are disabled on a per-save basis. So when you enable cheats, you permanently disable achievements on that save. If you want to go back to achievement hunting, just start a new game and don't enable cheats. Maxis enables cheats intentionally in The Sims 4, so you can't get in trouble for using them. However, they're primarily meant as a way for the developer to test gameplay. That means Maxis can turn any cheat off at any time, and cheats are often broken when updates come out. For example, death and ghost cheats were broken by a Sims 4 game update. If any specific cheat doesn't work, you can either wait to see if it's fixed in a future update, or look for an unofficial mod that restores the cheat. To enable cheats, you need to open the cheat console and enter the testingcheats true command. This is done by pressing a combination of keys on your keyboard in the PC version of the game, but that isn't possible on Xbox One. Instead, you need to open the cheat console by pressing a combination of buttons on your Xbox One controller. Press and hold LT + RT + LB + RB (both triggers and both bumpers) on your controller. A thin box will appear at the top of the screen. This is the cheat console. Press the A button on your controller to select the cheat console. The onscreen keyboard should appear, allowing you to type into the cheat console. Type testingcheats true, and press enter on the onscreen keyboard. When the warning message appears, select OK and press the A button on your controller. After you accept the warning message, and acknowledge that you won't be able to earn achievements on your current save, you're ready to start using cheats. To use cheats, press and hold LT + RT + LB + RB on your controller to open the cheat console, and enter the cheat code you want to use. You can use as many cheats as you want. In The Sims 4, the currency is called Simoleons. 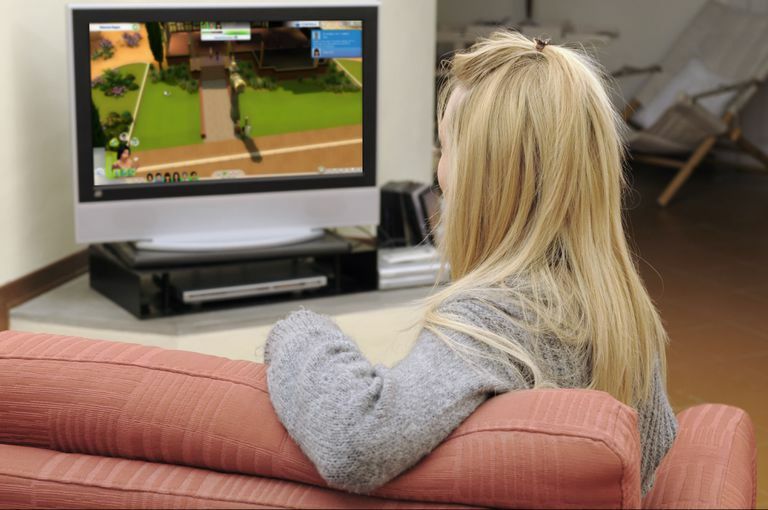 You need Simoleons to buy real estate, furnish your house, and tend to the daily needs of your sims. If you run out, you can end up in real trouble. That's why some of the most useful Xbox One Sims 4 cheats are designed to pad your bank account. Money cheats in The Sims 4 can instantly add a little money to your bank account, add a lot, or change your balance to any number you like. There's also a command you can use to make all real estate free, making it easy to upgrade to that new house you've been looking at. Adds 50,000 Simoleons to your bank account. Type motherlode into the cheat console. Adds 1,000 Simoleons to your bank account. Type kaching into the cheat console. Adds 1,000 Simoleons to your bank account. Changes the amount in your bank account to the specified number. Type money into the cheat console, followed by the amount you want, e.g. money 100000. Allows you to buy houses and lots without paying. Note: Must be used in the neighborhood view. Type FreeRealEstate on into the cheat console. The Sims 4 has a pretty involved build mode, which allows you to buy and place new furnishings, alter your house, and even build brand new houses. If you want to unlock all of the available options right away, unlock options that aren't normally available, or even freely change the size of furnishings, we've got some powerful build mode cheats to help. Removes restrictions on item placement, so items can be closer together or even overlap. Type bb.moveobjects into the cheat console. Immediately unlocks all items that you normally unlock while playing. Type bb.ignoregameplayunlocksentitlement into the cheat console. Turns on the buy debug mode, which adds extra furnishings to purchase. Type bb.showhiddenobjects into the cheat console. Increases the size of an object. Select an object in build mode, hold LT + RT, and press up on the D-pad. Decreases the size of an object. Select an object in build mode, hold LT + RT, and press down on the D-pad. In The Sims 4, sims naturally form relationships with each other. They can become fast friends, mortal enemies, and even enter into romantic relationships. You can help steer them in the direction you want through normal gameplay, or use relationship cheats to instantly catapult that budding friendship into a full-blown romance any time you want. Every Sims 4 cheat code that modifies relationships between two sims follows this basic format: modifyrelationship sim1FirstName sim1LastName sim2FirstName sim2LastName 100 RelationshipType. That is, you need to type the first and last name of one sim, the first and last name of a second sim, a number, and then the relationship type. If you entered that exact code into the cheat console, it would provide a large boost to the friendship between the sims Major Nelson and Phil Spencer. If you used a negative number, it would have a large negative effect on their friendship instead. Introduces the selected sim to all the other sims in the neighborhood, providing them with an acquaintance level relationship with everyone. Type relationship.introduce_sim_to_all_others into the cheat console. Immediately spawns a brand new sim on your lot that is friends with the currently selected sim. Type relationship.create_friends_for_sim into the cheat console. Every sim in The Sims 4 on Xbox One has a particular set of skills, and they level those skills up through normal gameplay. If you want to give them a quick boost, you can use skill cheats to instantly increase, or even max out, any skill you want. All cheat codes that modify skill levels in The Sims 4 on Xbox One follow this format: stats.set_skill_level SkillName 10. That is, you use the stats.set_skill_level command, followed by a skill name, and then a number. If you entered that exact code into the cheat console, your currently selected sim would be instantly boosted to a mischief skill level of 10, which is the highest it can go. The Sims 4 on Xbox One has a number of expansions that add exciting new locales and mechanics, and even new skills. If you have any of these expansions, you may be interested in seeing how the new skills work. By entering the following codes, you can alter the skill level of the expansion skills. All of these codes are used in the same way as the codes found in the previous section, but they only work if you have the expansions. If you entered that exact code into the cheat console, your currently selected sim would be instantly boosted to a media production skill level of 10, but only if you have The Sims 4 Get Famous. If you don't have the expansion for a skill, using the code for that skill won't won't do anything. All cheat codes that modify a child's skill levels in The Sims 4 on Xbox one follow this format: stats.set_skill_level SkillName 10. That is, you use the stats.set_skill_level command, followed by a skill name, and then a number. If you entered that exact code into the cheat console, your currently selected child sim would be instantly boosted to a creativity skill level of 10, which is the highest it can go. Like children, toddlers in The Sims 4 on Xbox One also have their own unique set of skills, most of which are somewhat related to child skills. By maxing these skills out, a toddler gets important boosts when they get old enough to be classified as a child. To boost these toddler skills, you use same exact cheat code format that you use for adult and child skills. If you entered that exact code into the cheat console, your currently selected sim would be instantly boosted to a thinking skill level of 5, which is the highest it can go. Adult and child skills go to 10, but toddler skills only go to five. The exception is potty training, which caps at three. You can also use cheats in to change your Sim's career at any time, grant them instant promotions, and even have them quit their jobs. Some of these careers are available in the base game, and others require an expansion. Gives the selected sim a promotion in the specified career. Type careers.promote into the cheat console, followed by the name of a career, e.g. careers.promote Athletic. Assigns the selected sim the specified career. Type careers.add_career into the cheat console, followed by the name of a career, e.g. add_career TechGuru. Removes the specified career from the currently selected sim. Type careers.remove_career, followed by the name of a career, e.g. careers.remove_career SecretAgent. For each of these cheats, you can add any career code at the end to give your sim a new job, make your sim quit their job, or give them a promotion. In The Sims 4, teens have far fewer choices for jobs when compared to adults, and the choices that they do have are totally different. You can still use the same basic cheat commands to give your teen sim a new job, have them quit their job, or give them a promotion. The basic commands for altering jobs are the same for teens as for adults, but the actual job codes are unique to teens. These codes, like all the other cheats in The Sims 4 on Xbox One, are typed into the cheat console. If you entered that exact code into the cheat console, the selected teen sim would get the new career of babysitter. Most of the cheats in The Sims 4 on Xbox One are activated by entering codes into the cheat console. The exceptions to this rule are interaction cheats, which are accessed through context menus. These cheats are all available as soon as you turn cheats on. To use these cheats in the PC version of the game, you need to hold shift when you click on a sim or object to access the special cheat menu. Since that isn't possible on Xbox One, you have to press and hold the B button before pressing the A button to access this menu. This is a little awkward, but it's the only way to open the contextual cheat menu. Selecting any of the options in the cheat menu will execute the cheat. Move the targeting cursor over a sim or object. Press and hold the B button on your controller. Press the A button on your controller. Select a cheat in the special cheat menu that appears. Opens the Create a Sim interface and lets you change anything about the currently selected sim, including age and gender. Note: The cas.fulleditmode cheat must be entered first for this cheat to work. Sim Reset Object Resets the sim. Use this if the sim gets glitched for any reason. Sim Cheat Need Allows you to alter the needs of the sim, instantly making the sim happy, or disabling need decay. This option also allows you to enable need decay later. Sim Marriage Provides an option to dissolve marriages. Dirty object Make Clean Cleans the object. Only available on objects that can be dirty. Clean object Make Dirty Makes the object dirty. Only available on objects that can be dirty. The ground Teleport Here Instantly teleport the selected sim to the location you selected.